I like White Castle hamburger sliders and the microwave version of that restaurant favorite is surprisingly good. 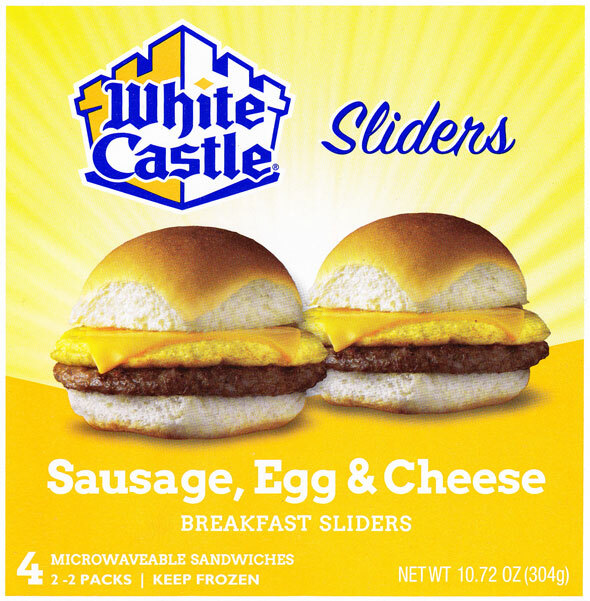 Therefore, I was excited to try this new microwave breakfast slider from White Castle. The version I tried was their Sausage, Egg & Cheese Breakfast Sliders. As of this writing, it's the only version available. To prepare the sliders, you remove them from their wrapper and wrap them in paper towels. First you defrost them, then you flip them and cook on high. The whole process takes about 4 and 1/2 minutes including letting them stand for a minute before serving. White Castle Breakfast Sliders are quite disappointing. A good amount of cheese sticks to the paper towel after microwaving. The bun becomes tough and chewy. The sausage is too spongy and very, very salty. The egg is fine. You miss the cheese that melted onto the paper towel. Sadly, I can't recommend this product. 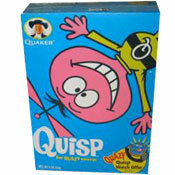 It's not the worst breakfast product I've tried, but it's a far cry from the best. I suspect some people will find ways to make the sliders better by adjusting the cooking directions - like microwaving the bun for a shorter amount of time. But as cooked per package directions, this product is kind of a dud. 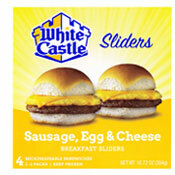 What do you think of White Castle Breakfast Sliders? You cooked them wrong! With all White Castle and Krystal products, you wrap them in the paper towel, on the microwave choose defrost, then 1 for meat and 3 1/2 and they will be just as good as from the restaurant! Always! I cooked the egg, cheese, sausage slider as directed on the box. The bun turned out hard as a rock. The egg and sausage were tasteless. The cheese disappeared. YUK. I do love the hamburgers though and will continue to buy them.